Little fun fact: During my undergrad years, I spent my days and evenings slinging drinks and pills. 😉😂😜 Before you all get it twisted, I worked as a bartender and pharmacy technician, which in hindsight makes me laugh because they are pretty much the polar opposites of each other. While the bartending gig only last a few years, I remained a pharmacy technician in both retail and hospital settings for over 8 years until I had my youngest. In those years, I heard hundreds of questions and concerns with medicine. Time and time again, one issue that we constantly had to educate our patients on was to carefully read their medicine labels to ensure that they were not unintentionally doubling up on acetaminophen. Acetaminophen is in over 600 different medications (over-the-counter and prescription) so it’s definitely something that needs to be considered when taking medication this flu and cold season. 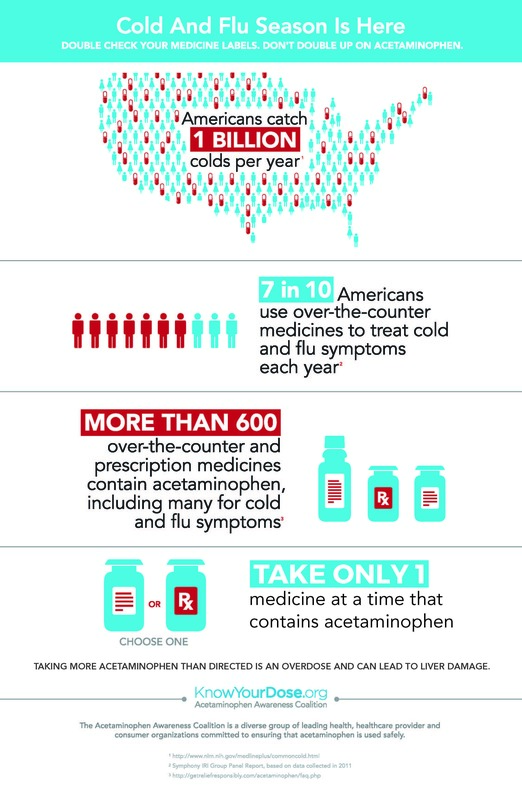 While we are on the heels of the deadliest flu season in 40 years, the Acetaminophen Awareness Coalition (AAC) is urging patients to be aware and diligent about checking medicine labels when treating flu and cold symptoms such as headaches, fevers, and other unwelcome symptoms. 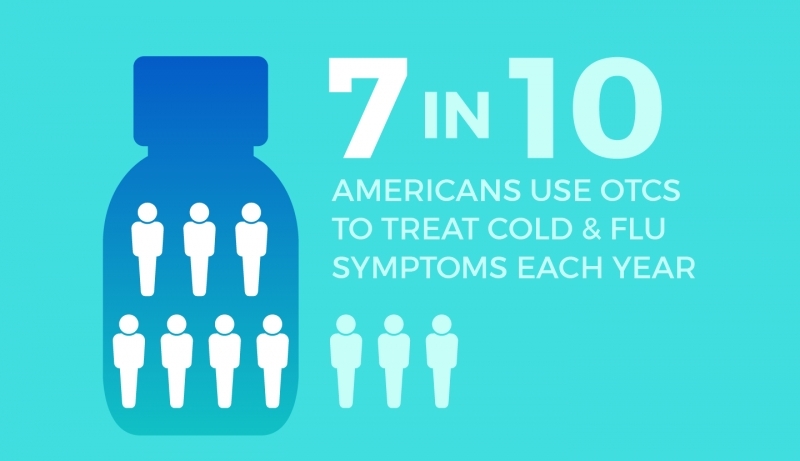 Seven out of 10 American’s use cold and flu medicines to treat their symptoms every year so being aware of how to take medicines correctly and safely is a must! This time of year, many OTC combination medications used to treat pesky upper respiratory cold and flu symptoms, contain multiple medications in one dose and very often acetaminophen are one of the leading active ingredients. The odds of taking more than the FDA-recommended maximum dose of 4,000 milligrams of acetaminophen in one day increased by 24% during cold and flu season, often because many don’t realize that they may be taking multiple medications with acetaminophen. While taking acetaminophen is safe and effective in treating fever and pain when used as directed, taking excess acetaminophen can lead to serious healthy issues, primarily liver damage. 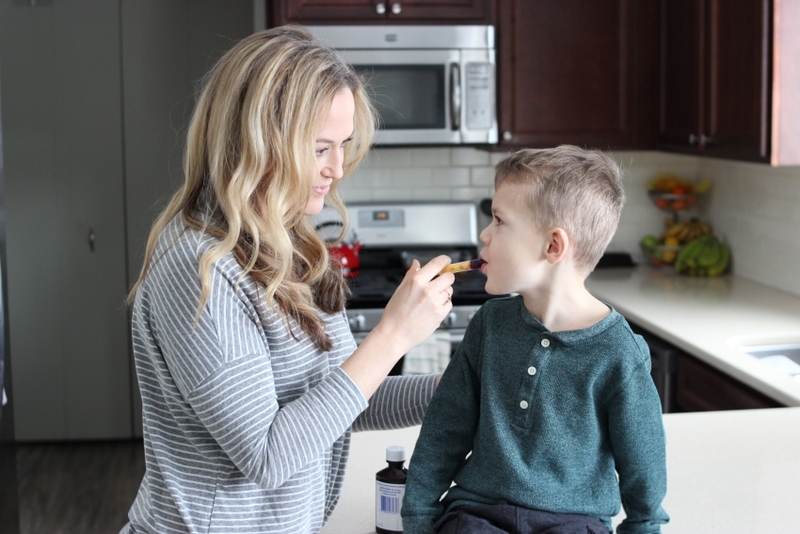 Being aware and double checking over-the-counter (for both adults and children) and prescription medications is a must when taking more than one medication at a time to ensure that you aren’t unintentional taking excessive acetaminophen. Almost 50% of acetaminophen overdoses are unintentional as a result of not reading and following the medicine label. 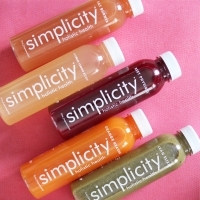 Always read and follow the label. If you are unsure or don’t understand the directions, reach out to a pharmacist or doctor to help (that’s their job). 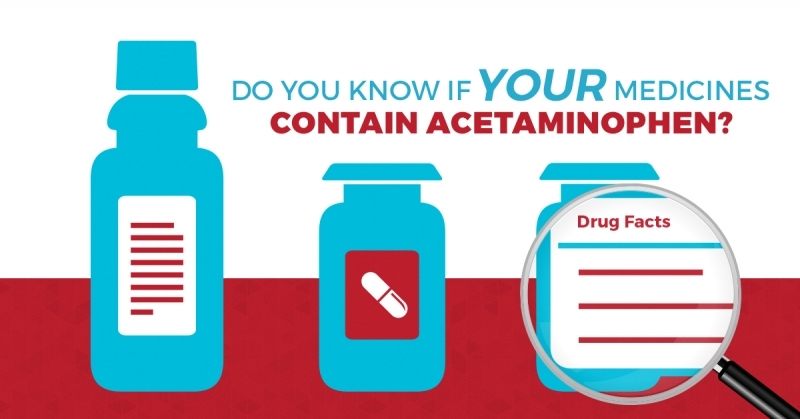 Double check to see if your medication contains acetaminophen. Over-the-counter medications must list all active ingredients so check to see if they contain acetaminophen. For prescription medications, check for acetaminophen or APAP or “acetam” (short-hand for acetaminophen). If you’re unsure, ask! Take only one medication at a time that contains acetaminophen to avoid accidentally doubling up. If you have questions about your medications, ask your healthcare provider or pharmacist. Always use dosing spoons, cups or syringes when taking or giving medication. If you have trouble remembering when you take or give medications, write down when you took or gave the last dose to avoid taking medications too soon. Make sure to take no more than 4000 mg of acetaminophen in a 24-hour period. Is this something that you were aware of? 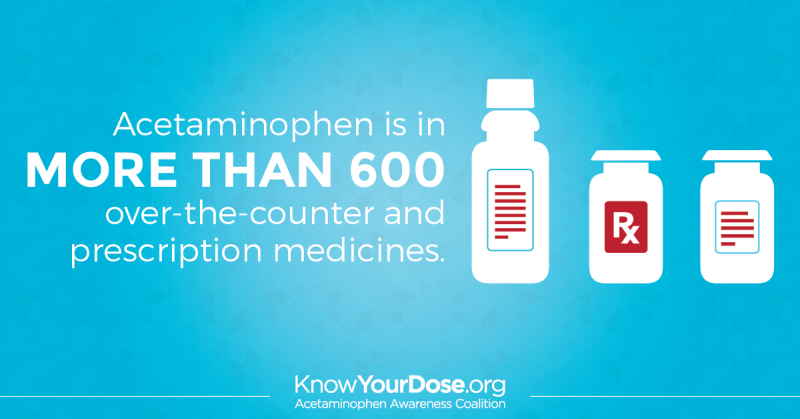 Did you realize how many medications have acetaminophen? 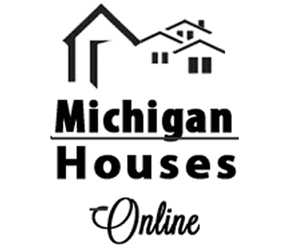 For more valuable information on how to take cold and flu medications safely and to avoid acetaminophen overdose, check out KnowYourDose.org. 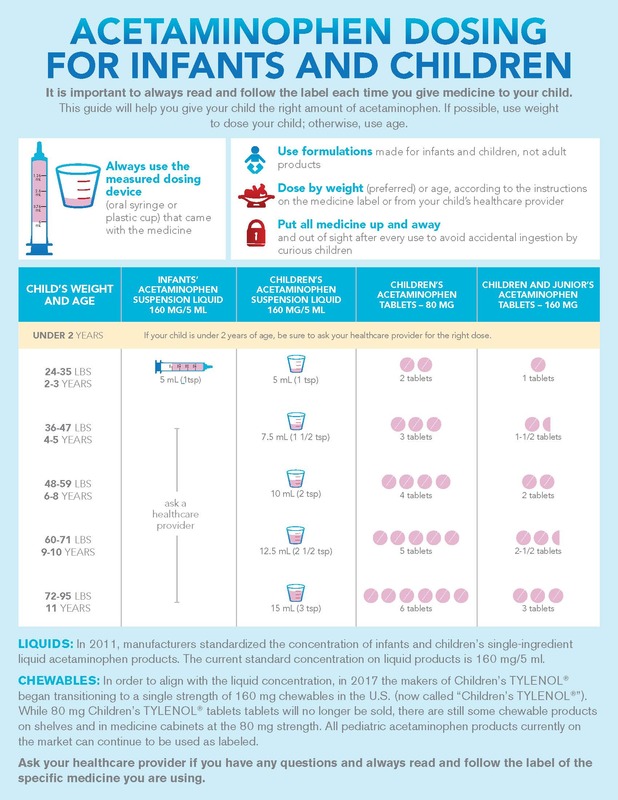 For those with infants and children, this infographic provides some great information on dosing acetaminophen so make sure to save or pin it for future reference! Wow! Quite informative. I am going to share this with my girl friends. I didn’t even think twice beore this. This information is so great! My husband is always telling me that the directions on the bottle are just a guideline, not law… but I’m totally showing him this. This information is so important, In an attempt to feel better, we sometimes make things worse. I suffered from migraines in my teenage years and my mom would always hide the tylenol because I’d take too many if she didn’t. Thanks for the info. What a good idea to write down what time you take medications! I had a problem remembering about two weeks ago when I came down with something awful (not sure it was the flu though). Between sleeping all day and my head feeling like a balloon, I couldn’t remember what times I’d taken my meds! I ended up waiting extra hours suffering through symptoms so I could be sure enough time had passed. Thanks so much for this post – I’m glad I did it that way instead of accidentally over-medicating. I was just wondering about this last week when I was sick. I can see how easily people could overdose and cause liver damage. Thanks for sharing such a helpful post!